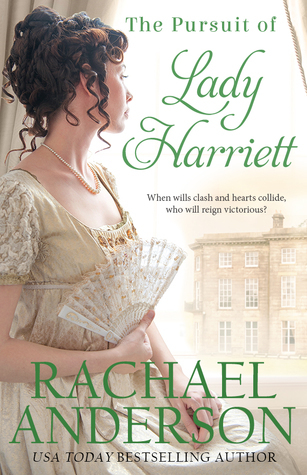 The Pursuit of Lady Harriet is the third and final book in the Tanglewood series. Each and every one in this series has been a great pleasure to read, and it will be hard to say goodbye to this great cast. Harriet is a delightful heroine. She almost always has an answer ready, mostly laced with a good dose of wit and a retort to keep the lieutenant on his toes. Chris(topher) took a while to win me over. He is a little harsher, a little less set on decorum and not a polished up gentlemen as the other heroes in the series. Yet he has the abilities and knowledge, he just isn’t set on convention as much as Harriet is. The sparks fly between these two from the very start, and it makes for a very enjoyable read. Both of them, but I would have to say Chris the most, experience a growth throughout the book. Anderson has a way of pulling you in, helping you connect to the characters, and rooting for their happily ever after. Next Next post: Twenty-two and counting, what I learned this time around.